Jeremy the lefty snail, who struggled for years to find a compatible mate, has died — but not before leaving behind a healthy brood. 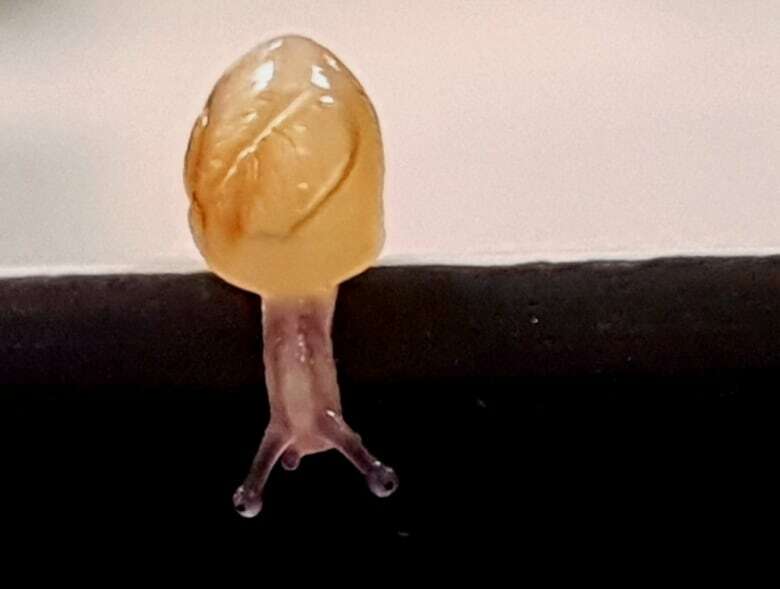 Jeremy the lefty snail, who struggled for years to find a compatible mate, has died — but not before leaving behind a healthy brood of bitty babies. "Whilst it's sad that Jeremy has died, it's also fantastic that we have some offspring and we can begin do some genetics to these that we'd always hoped to do with Jeremy," Angus Davison, a University of Nottingham evolutionary geneticist, told As It Happens host Carol off. Jeremy, who was found in a compost heap in South West London about a year ago, was a common garden snail with an uncommon feature — a shell that coiled to the left. That made it impossible for Jeremy to copulate with a clockwise snail, because "essentially, their bits are in the wrong position," Davison told As It Happens in October 2016. "So if you're a geneticist like myself, you can't do the genetics if you can't produce offspring," he said. "So we launched a campaign ... to try and find a mate for Jeremy." The lonely gastropod's plight for love made international headlines, sparking a Twitter account (@leftysnail) and even a YouTube song in Jeremy's name. Within in a couple months, the lab acquired two more left-coiling snails from people who heard about Jeremy — Lefty from Britain and Tomeu from Spain. But just when it seemed like things were looking up for Jeremy, the two potential suitors turned out to only have eyestalks for each other, leaving Jeremy's status as childless virgin intact. After Lefty returned to Britain, Jeremy and Tomeu finally hooked up. "Actually, they mated three times as far as I observed," Davison noted. A few weeks ago, Tomeu birthed and hatched 56 babies, a third of which are believed to have been fathered by Jeremy. On Wednesday, the proud papa was found dead — sadly, without ever getting the chance to meet its babies. But Davison's biggest regret is not ending Jeremy's life sooner. The proper scientific thing to do, he said, would have been to freeze Jeremy after the babies hatched so the team could preserve the father's DNA for future study. "As the scientist, you know, I should try to be dispassionate from this story of Jeremy and all this kind of thing. I'm trying to do the science here," he said. "But the non-scientist in me, I suppose, hesitated and thought, 'But, you know, what about all the people who are going to be disappointed that not only had Jeremy died, but Jeremy had died by his scientist's hand?'" So he left Jeremy alone. "When I next next checked on Wednesday, Jeremy had died," he said. Jeremy's lifeless shell was found in a refrigerator at the lab. Davison believes the snail had been dead for a few days. "Snails degrade quite quickly and so the DNA. Jeremy, was ... already quite degraded and will be difficult to use. That's a shame." Still, there's plenty of science ahead for Davison and his colleagues. Thanks to Jeremy's legacy, the team now has six left-coiling snails in their posession. And they have already learned that two lefts make a right. All of Jeremy's babies have regular, right-coiling shells. But he suspects that as they breed Jeremy's offspring, more lefties will be produced within a generation or two. "It's not just about understanding genetics of snails," he said. "We've shown in previous research that some of the same genes are involved in setting the left and right side of a snail's body and the left and right side of our own bodies." Still, Jeremy will be missed. 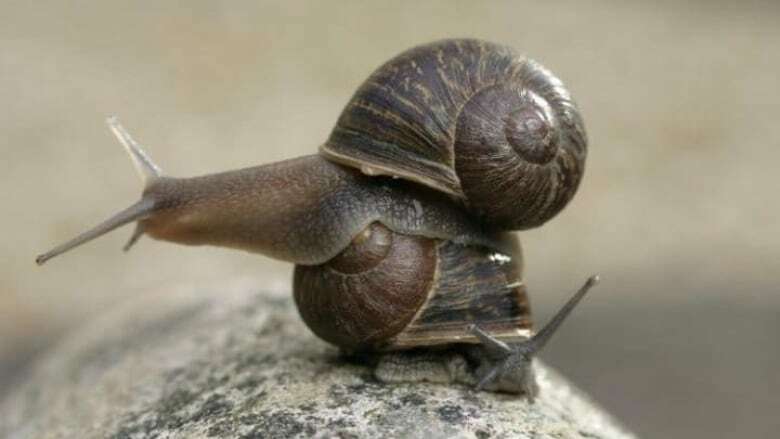 "This snail, I wouldn't go as far as to say had a character, but Jeremy was a bit unusual," Davison said. "It's not an exaggeration to say that Jeremy is probably the most famous snail in the world and probably will continue to be for quite awhile."